Westerley research facility is not for the faint-hearted. A ‘body farm’ investigating human decomposition, its inhabitants are corpses in various states of decay. 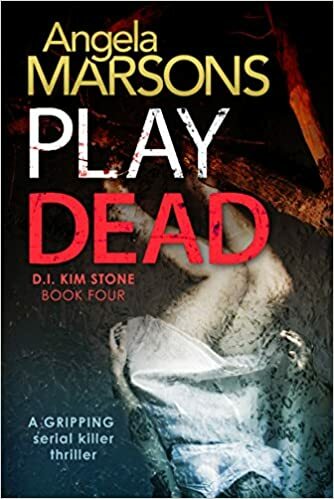 But when Detective Kim Stoneand her team discover the fresh body of a young woman, it seems a killer has discovered the perfect cover to bury their crime. This is DI Kim stones 4th outing and having read all the other books in the series I was looking forward to this. The plot is, as always a good one, with a surprise thrown in here and there. It’s not a complicated plot that you will get lost in and it flows very well. I loved the setting for the crimes and the perpetrators reason for their crimes. This being the 4th Kim Stone book I was expecting a little bit more. It was a little bit Kim stone by numbers. You know what you are going to get and although what we get is a well written and well thought-out , I was expecting something a bit different to take her story to another level. Her back-story hasn’t moved on much and kind of repeats through each book. I also find her constant struggle against authority a bit much to believe, I find it hard to believe she would have risen to or kept her job as an Inspector with the constant trouble she has with authority or people in general. Yeah, it’s a book, I know. I did find that, maybe, up to the 50% mark it there was too much idle chit chat and procedural, which, to move the plot along is necessary but it didn’t give me the can´t put it down buzz that I long for in a book. The introduction of Doctor A, a foreign character that has trouble with the English language was a bit of a 1980s, Officer Crabtree from allo,allo, stereotype that I think the book could of done without. “Inspector, you are just in the nook of time,” she said without looking up.